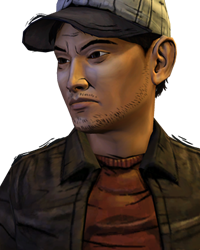 Big Telltale games fan since The Walking Dead Season 1 even though I don't like the TV show. I'm also into Chinese, Japanese and Korean culture and history. My favourite periods of history include the Sengoku Jidai and The Three Kingdoms Period. Martial Arts fanatic, Sword and all other Melee Weapons Enthusiast. I love being creative and coming up with various characters, stories and scenarios. I listen to Chinese, Japanese and Korean Metal, Rock and also Rammstein.